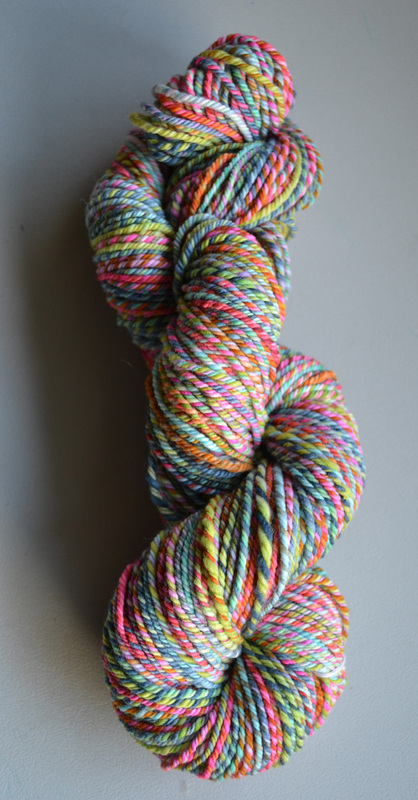 As promised, I’ve got some fresh handspun to share today! Yay! 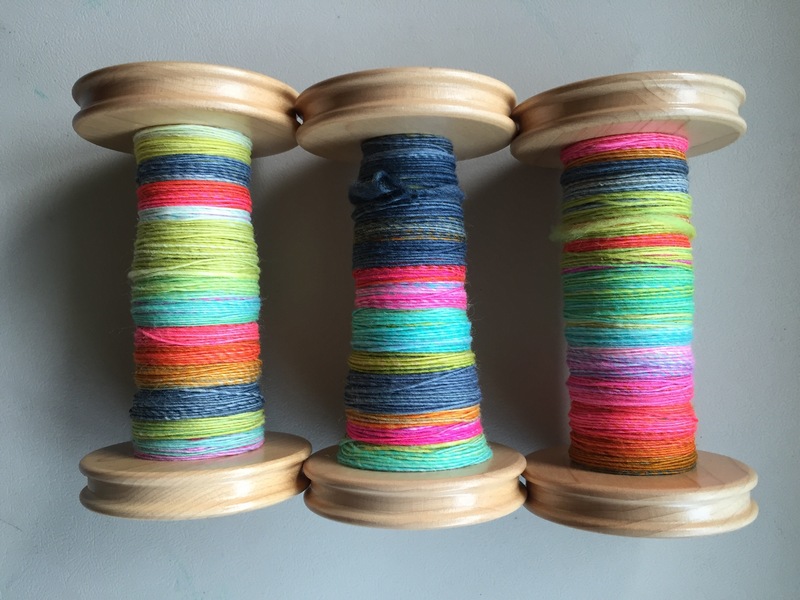 As part of the Akerworks Flat Pack Lazy Kate test I’ve been working on trying a lot of different plying scenarios. Varying the number of singles I’m plying, changing up the weights of singles, as well as the methods for plying. Again, I’m not going to go into detail on the Kate at this time, but I did want to share the yarns as they come off the wheel. Today I’m going to share two skeins that I worked up pretty similarly. First, for a simple 2 ply I started with this braid of fiber. Having been doing much more with with getting my singles light weight I made a little departure with this braid of Rambouillet from Cloudlover Yarn & Fiber in the White Sangria colorway. Aiming for a worsted-ish 2-ply, I’m happy to say that’s exactly what I got in the end. True to the Rambouillet breed, this yarn poofed nicely in the wash.
And in the end I had a lovely squooshy skein. At about 8-9wraps per inch this worsted/aran skein has about 170yards on it, perfect for a soft and smooshy hat or cowl. 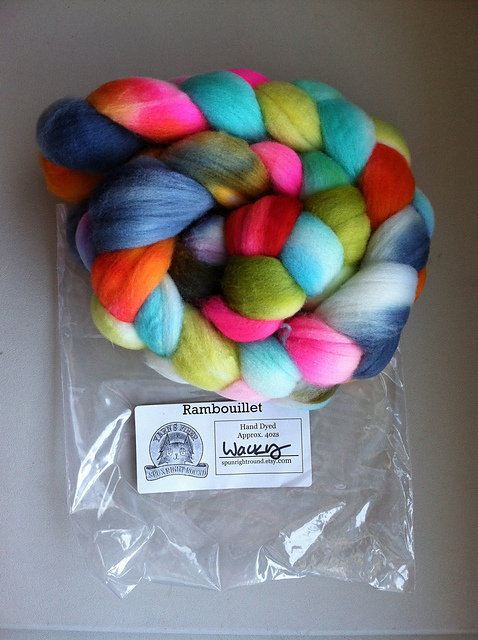 Next, how about Wacky from Spun Right Round. 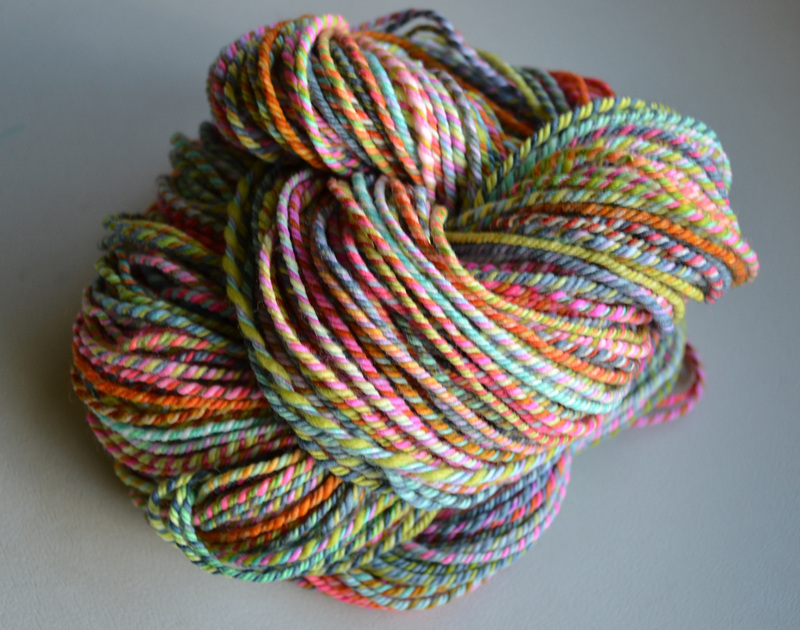 I can always count on my Spun Right Round fibers to be bright and unexpected and a little wild (and wacky). Shooting for a worsted-ish 3-ply, I was kind of testing my skills since I’d have to make minor changes to my singles from those I’d just spun for White Sangria. 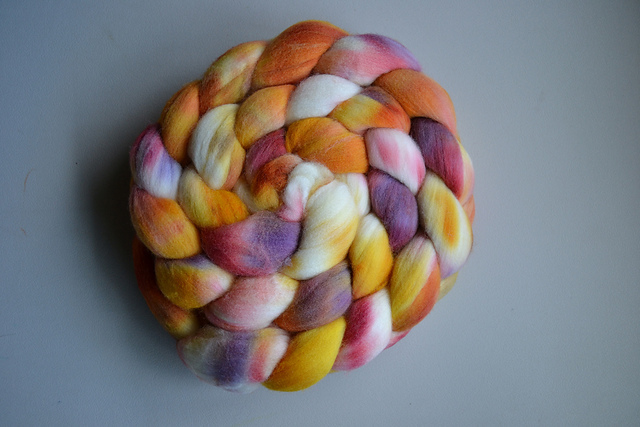 The colors were bright and fun to spin — it really helped me to forget the demands of the spin. And it came out SO NICELY. 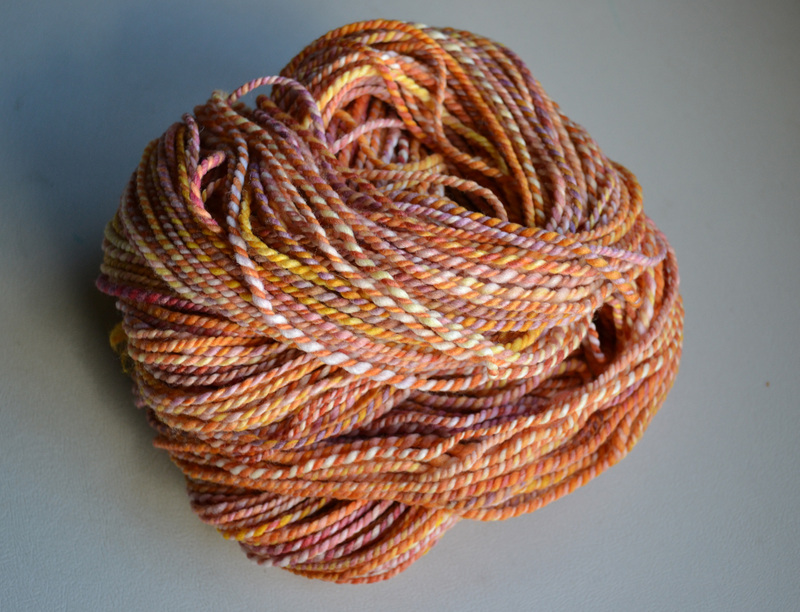 This 3-ply indeed came out as a worsted weight yarn (about 4-5wraps per inch) and measured in around 150yards. 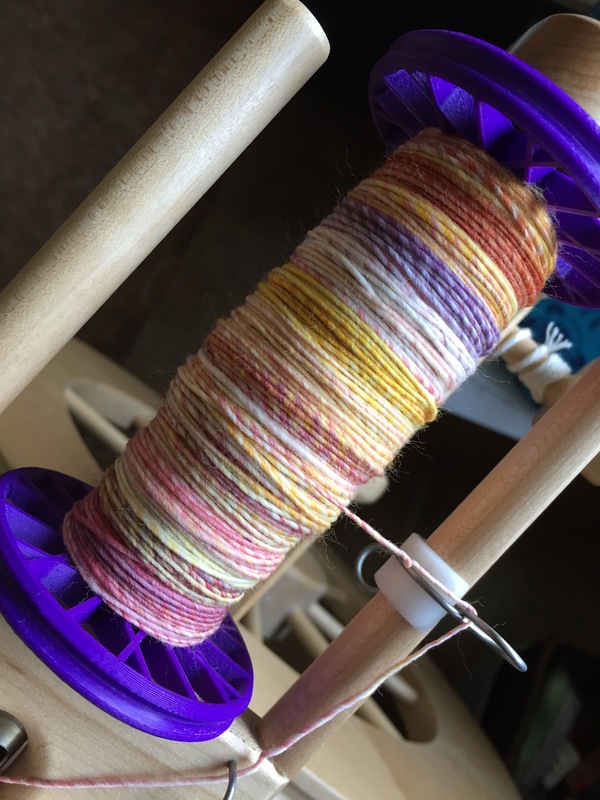 Because of the 3-ply and the slightly tighter plying job it doesn’t quite have the squoosh factor that the White Sangria skein does, but that’s A-OK with me. 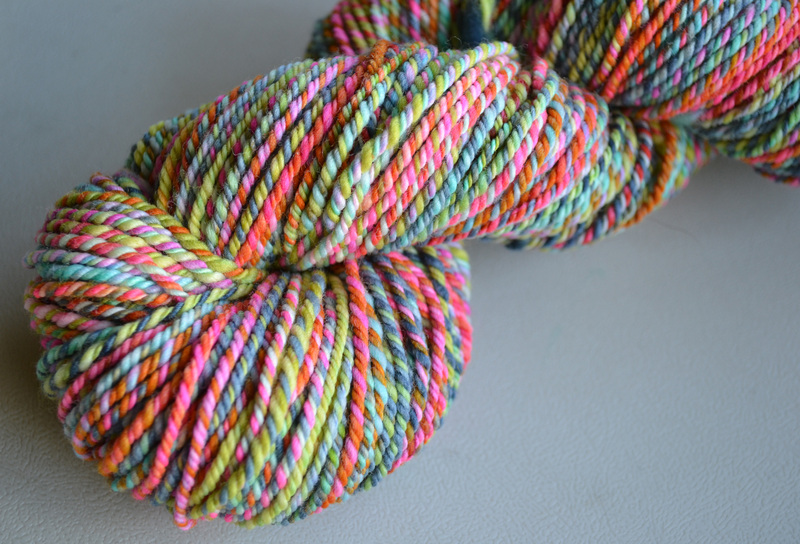 I mean this skein is so darn fun! What a great couple of skeins with which to start my great plying extravaganza! those both look wonderful. It is amazing to me how the braid and the skein can look so different. I wonder if I ever will be able to “see” the finished product when I look a the pretty colors of the braids? 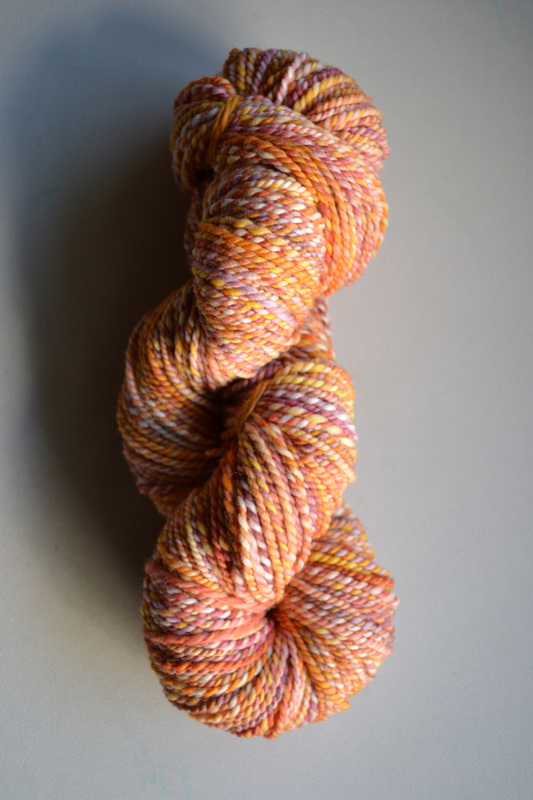 I really love the colors of these skeins, and I’m not usually into orange. So squooshy! 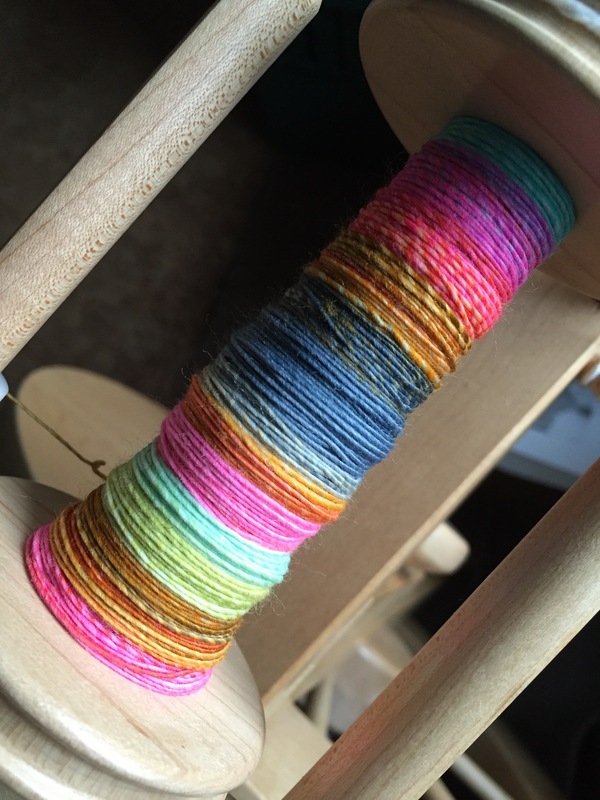 With spinning, I try to always have a regular stream of colors I generally wouldn’t pick. I’m almost always pleasantly surprised but the resulting yarn. And yes! The squoosh factor is off the charts!